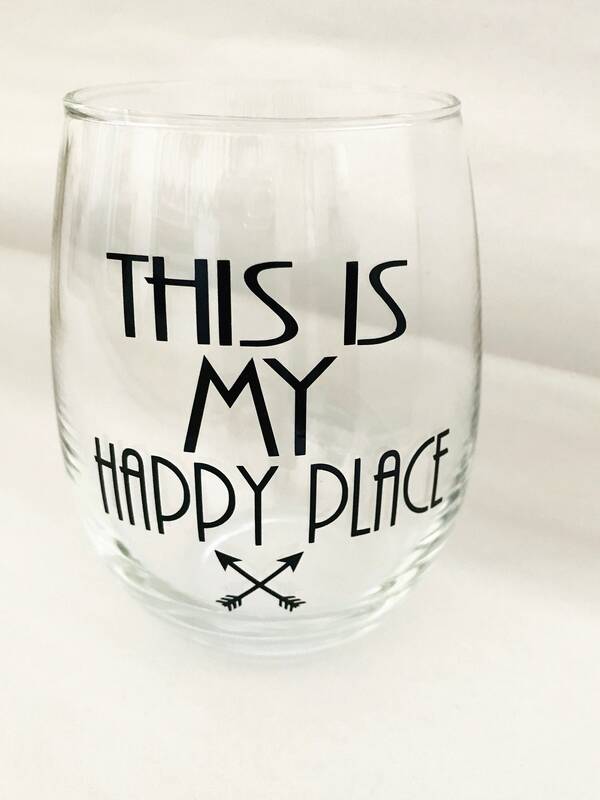 “This is my happy place". 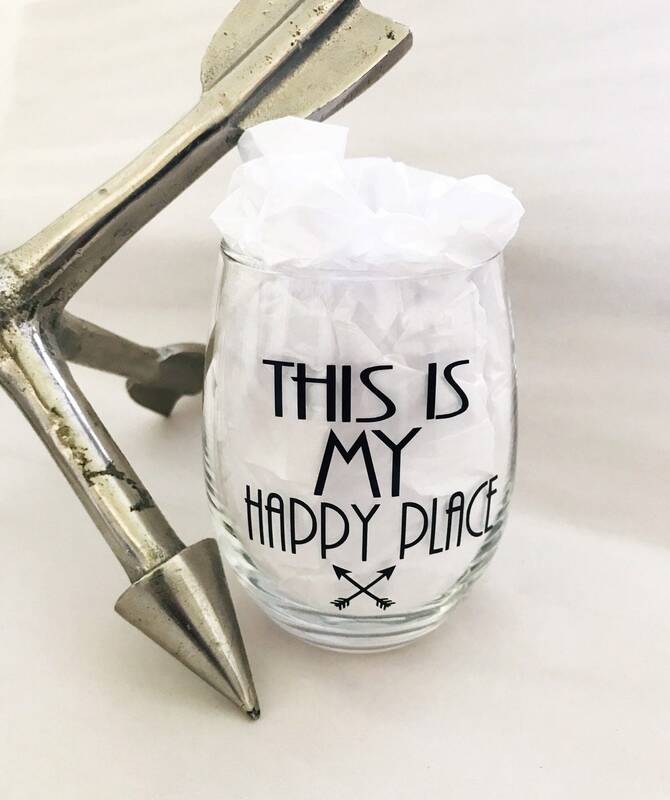 21oz stemless wine glass, with custom design, "This is My Happy Place", with arrows in black permanent vinyl. 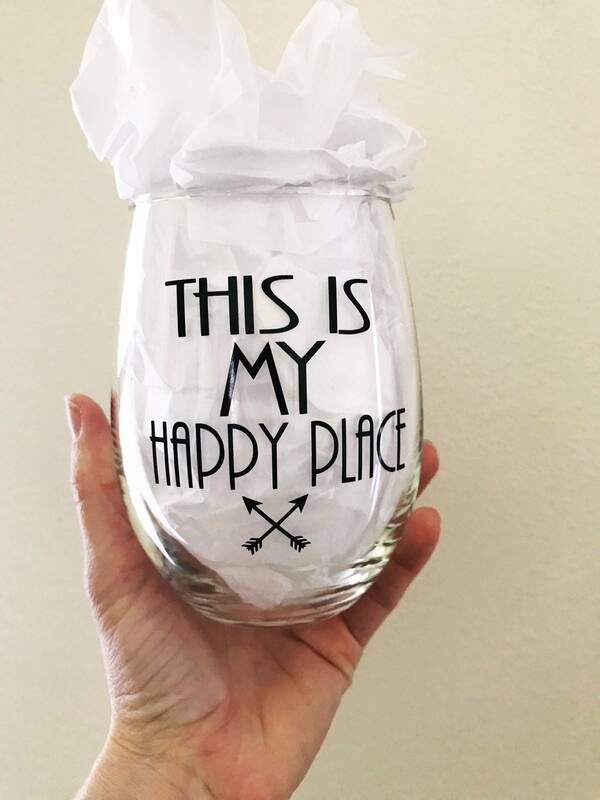 The perfect gift for any wine lover, best friend, coworker or yourself! Items are ready to be delivered within 3-5 business days. Custom orders are welcomed and appreciated. Message seller for your custom request and we will work on your design together. Very cute! Love these and they’re huge! My client is going to love them! !